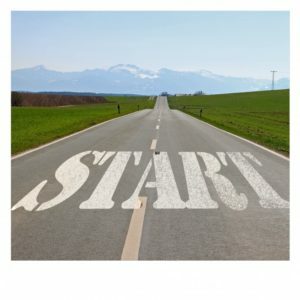 Where to begin a blog? As I was putting together my website, I thought long and hard about this question. As is often the case when I’m stuck, words managed to get me un-stuck. You guessed it — Maria from the Sound of Music (my all-time favorite musical film) set me straight. I’m a writer, so when did I first start writing? I mean: outside of school assignments, on my own, without being told to. Just because. That sounds like an easy one to answer, right? For some writers, definitely. But not for me. I wasn’t a kid who grew up writing many stories or poems. Not like my 9th grader who knew as a 3rd grader that she wanted to become an author and hasn’t stopped writing. That question continued to follow me around: When did I first start writing? It felt deep-rooted — this need, this desire to put words down on paper. Where did this come from? Why did this feel natural? Why did this feel GOOD? Then I remembered. The answer shone past the cobwebs in my mind. And the answer was both unexpected (because it was not creative in nature) and obvious (because it was an integral part of my life). It was like “Huh?” and “Duh…” and “Aha!” all at once. One day when I was nine years old, I (alone) accompanied my mom to our local Waldbaum’s on Staten Island. Being one of four kids — the fifth hadn’t come along yet — this supermarket time was nothing short of a treat. Then I spotted it just to my left on the bottom row: a little red diary. Gasp. Yes, it was there in that aisle of Waldbaum’s, of all places, that I first remember feeling moved to write. It was as if I developed tunnel vision, and all sound disappeared. It was just the diary and me. Meant to be. 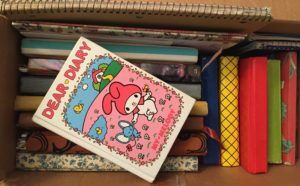 Every time I sat down to write in my diary, I experienced that Waldbaum’s Effect: no sights or sounds beyond my diary, pen, and voice in my head. 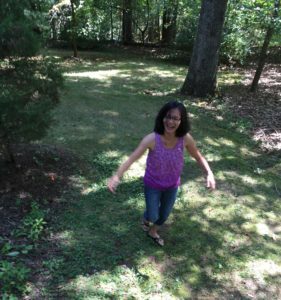 Living in a big, hectic household with four brothers, this was my quiet, peaceful place. It was a place I kept wanting to revisit. A memory box for my day’s activities. A safe space to express my feelings and thoughts. A means to connect with myself and to make meaning out of life. Each day meant a blank, brand new page. And a new beginning. 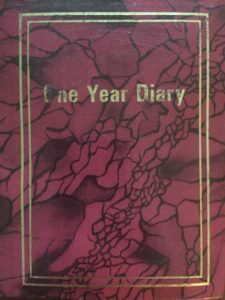 Neither my mom nor I knew, back in Waldbaum’s, that my little red diary would become the first of ten consecutive diaries. Yes, I wrote nearly every day for ten years: 3,650 entries. Yowza! Down the road, maybe I’ll take a long retreat and read those old diaries. Part of me would like to leave the past in the past. After all, what teenage angst might I find scrawled across those pages? Would I like the person I find? Burn them? Shred them? Over the years, these thoughts have crossed my mind, but the writer in me is now glad that I didn’t. Talk about getting into the head of a child and teenager. Though I didn’t know it back then, those diary entries gave me daily practice in telling stories and writing from the heart. They got me writing. And that was a very good place to start. On that note… So Long, Farewell. P.S. What prompted you to first start writing? I’d love to hear your story! Let me know in a comment below.